Who doesn’t know anything, knows user experience. This funny statement was given irritably, by one of my team member, when he came from a meeting. After having a brief discussion about the meeting, I came to know it was a common problem that a designer faces in most of the meetings. We start user center design and gradually, it becomes client centered or some specific people centered design. Everyone start giving suggestions from their personal taste or experience. User experience…? Is it true? UX is a dynamic field and very high in demand these days. Knowing the flow and process is important but most important is; behaviour and attitude to collaborate with team, the foremost characteristic of a UX person, especially in web. Knowing Balsamiq, Azzure and Pencil/Marker in hand and speaking like lecturer, doesn’t’ make you a better UX person. A product/project can never be success, without getting input from all stakeholders and users. One should be patient listener, before effective communicator. Every member in team are UX designer. A person titled as “UX Designer/Analyst” is not the only that should improve the UX. It’s a team effort of people who creates Wireframe, Visual Design, Front-end development and even back-end development. A nice article is written by a designer, that explain with examples. Great user experience cannot be achieved without team collaboration. People who speak a lot and listen less are very dangerous for the product. Giving an idea and stick to that; is one of the characteristic of such people. 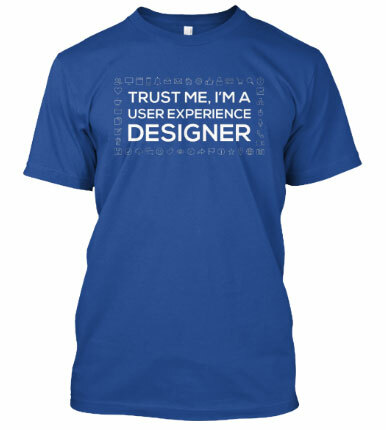 Ironically, I have seen many senior UX people are doing this. A designer should never be possessive with his/her design decision. Speaking a lot, doesn’t make a better UX person but speaking effectively and listen calmly with focus. Incomplete preparation diverts the design into wrong hand. Design (User experience) is not only about creating a wireframe. It’s just one of the activities in the process. Giving demo with just wireframe is like; suggesting having dinner with salad but no starter, no main course and no desert. You are trying to conveyance a glutton, to have light food in the dinner without any reasoning. Design needs more justification than creating visual. Justifying the design is more important than creating an elegant and intuitive design. If a designer will not be able to justify the design, it will be overpowered by the people, who will change a great intuitive design into non-intuitive poor design. Everyone in the meeting will have their own personal taste and experience. Design is a collaborative activity, where one will be creating but many will come up for suggestion and the feedback. It’s an activity; where anyone can give you great or worse suggestions. Understand and focus on user’s mental model not some specific people. Listening to feedback and suggestions calmly is important, but accept suggestion, only if it’s taking design one step ahead or making the user’s task easier. We are designing for the users not for some specific people in the meeting. I know, it’s very easy to write or speak; but it will be easier, if designer can speak his/her thoughts clearly and effectively. While creating the design; a designer goes through many ‘if’, ‘but’, ‘yes’ and ‘no’ thoughts. Designer just needs to speak those thoughts exactly; nothing artificial. Be straight and ask cross question, never be defensive. Give strong reason to backup design without getting possessive with your own design decision. Avoid a few terms like “Everybody is doing it” , “I like it” , “Decision is taken from UX perspective” We are not designing for a specific person (even a UX person) or strictly designing as per any defined set of rules. Some must have qualities of a UX person other than knowing flow and process. Effectively communicate the problem and its solution. A focused listener, with great analytical skill. Never divert or let the discussion divert from the context in a design meeting. I know, there will be more to add. Keep on adding. People say, User Experience Design is Common Sense. Designers are just like Doctors and Advocates. They all need to first analyse and synthesize a lot of information before taking any action; and they always need to justify each action. There are lot similarities in Doctors and Designers. Doctor listen patients to know the symptoms and designer listen to the user to understand the pain-points of existing system. Both ask many questions to diagnose the actual problem. Even after discussions, Doctor might ask for blood test to diagnose the actual problem, and designer do market research and competitive analysis. Once problem is diagnosis only then; Doctor Start treatment, similarly once designer understand the problem area, only then start working on the solution. As life in general gets more and more complicated, new roles and specialization field are emerging everywhere. It’s the responsibility of everyone in the team to improve and develop better product or service. Ideas and suggestions would come from everywhere, as a designer it’s your responsibility to filter them with better knowledge and experience. Previous Previous post: Should Designer code? Or at what level, a designer should code?